Home » advertorial » hair » reviews » sponsored » Naoki Yoshihara by Ash: Japanese Hair Salon in Singapore! Naoki Yoshihara by Ash: Japanese Hair Salon in Singapore! Naoki Yoshihara by Ash is one of the few authentic Japanese hair salons that I have come across in Singapore. If you have been following my blog, you would know that my good friend Karen and I are both ardent fans of Japanese fashion, beauty products and hairstyling, hence we absolutely couldn't hide our excitement when my friend Iwai-san contacted us for a hairstyling session at his salon at Liang Court. I wanted to touch up my roots and trim my ends, while Karen wanted to tone down her bright red rock-style hair for a more work appropriate look. Selecting the right hair colour to suit your skin tone and personal style is an art, and you can certainly trust Naoki Yoshihara by Ash to do it right. Unlike most hair salons, where you dive straight into selecting a hair colour based on the latest trends, we first had our skin tone analyzed by Japanese makeup and personal image consultant, Miki Sakazaki (featured above) to better ascertain which colours would suit us best. 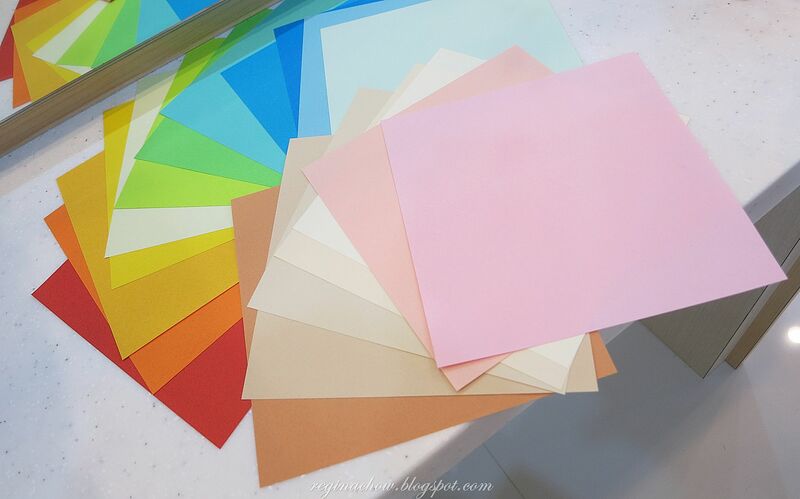 The consultation revealed that my skin is yellow-based and spring colours (as shown in the coloured papers below) would accentuate my skin tone and features. I was deeply impressed by the very detailed consultation. It only goes to show how meticulous and customer-oriented the salon is. It was pure coincidence that Karen and I both turned up at the salon in the same white Liz Lisa maxi dress. While I was told that white and beige hues flatter my skin tone very well, Karen found out that she should steer clear of white because of her blue-based skin tone, hence summer colours and even colours like black would suit her better. Unfortunately for me, Sakazaki san shared that black is a colour that I should avoid wearing. Looks like I need a massive overhaul of my wardrobe as most of my corporate wear are black! The good news was, my existing hair colour worked well with my skin tone, hence Creative Director Masami Kuramochi decided that all I needed was a trim and a touch up of my hair colour and I was good to go! I was amazed by Kuramochi san's artistic eye, and the way he wielded his scissors with utmost confidence as he sculpted my hair with his deft hands. Much to my delight, he also gave me fuller bangs for a dolly look which I very much adore. 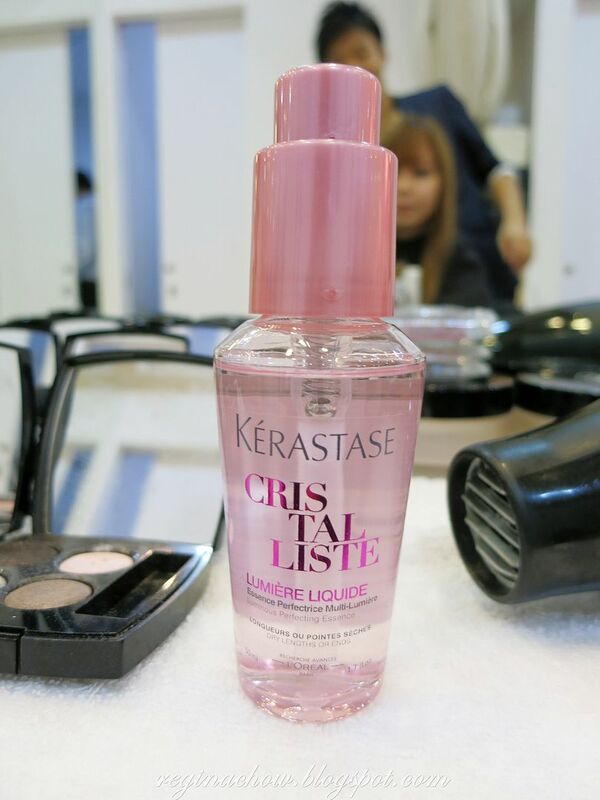 If you are wondering why my hair looks so shiny immediately after colouring, the secret lies in Kerastase's Cristalliste Serum. Its non-greasy, weightless formula adds luminosity and shine to your hair without weighing it down, leaving you with glossy, lustrous locks. Then, it was image consultant Sakazaki san's turn to work her magic on my face. She cleansed my face thoroughly and applied a special range of placenta-based skincare before make-up application. 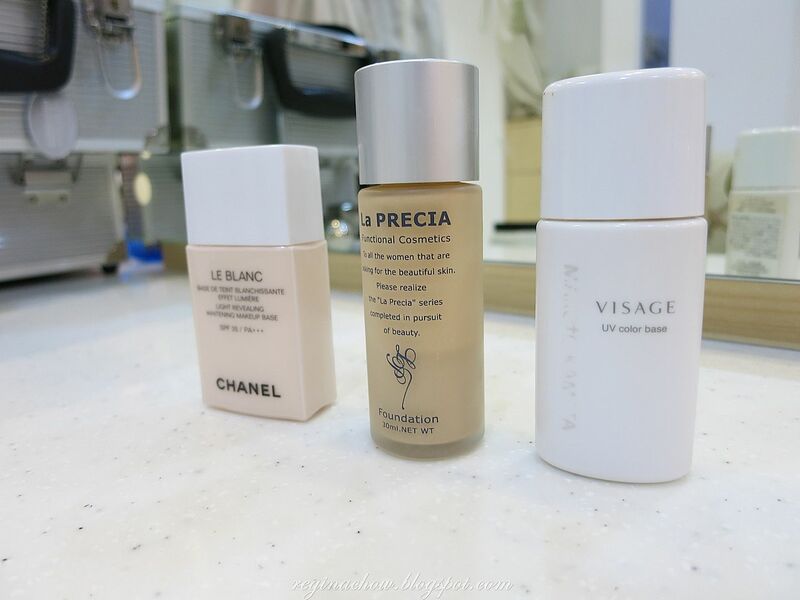 The La Precia Placenta skincare products that you see here are renowned for their anti-aging properties as well as positive effects on allergy-prone skin. They are directly imported from Japan, but if you are interested in purchasing them, you can look for Sakazaki san at her shop, Miki Trinity (housed within Eye Studio Tokyo), on the 3rd floor of Liang Court. 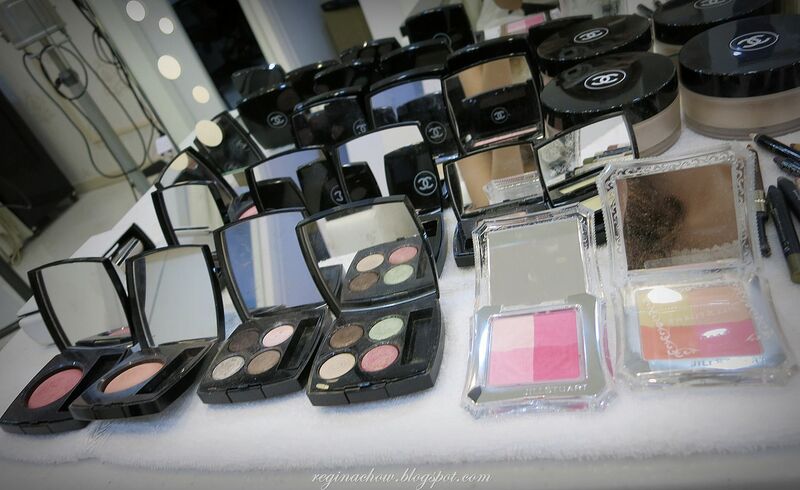 Here are the make-up products, predominantly from Chanel and Jill Stuart, that she used on me. The final result was a fresh, flawless natural look, achieved with neutral shades of brown and pink to complement my skin tone. I loved the overall effect of the make-up and my beautifully styled hair. Thank you once again to Kuramochi san and Sakazaki san for the pampering session and for making Karen and myself look just as gorgeous as the Japanese ladies. I used to get my hair done in Japan whenever I had the opportunity to head to Tokyo for work, but now, I can finally have my hair styled by highly skilled Japanese hairstylists in Singapore! Good Japanese hair salons are hard to come by in Singapore, so if you love Japanese hairstyling, be sure to check out Naoki Yoshihara by Ash!